As USAID moves towards implementation of a new education strategy, we need to pause to consider whether our core assumptions are valid, not just in theory, but in practice. Our recent education policy colloquium, co-hosted with the World Bank and the Abdul Latif Jameel Poverty Action Lab, highlighted the fact that there are no automatic solutions, and no silver bullets. But by using the wide range of available evaluation tools such as econometrics, randomized control trials, rigorous qualitative studies, and the knowledge that we accumulate with our local partners, we can increase the probability that funds invested in education will yield greater results. Our USAID Administrator, Rajiv Shah, has challenged us to relentlessly pursue high-impact development. To accomplish this, we need to revisit past practice. We need to learn what has worked and what has failed. Most importantly, we need to set goals that speak to impact and results. What this means in education is that we must ensure that children actually learn. At the end of the day, the number of teachers we train, the classrooms that get renovated, and the textbooks that get delivered are ineffective if they cannot be shown to result in children learning. We know that merely supplying inputs is insufficient to the task. Recent testing in several partner countries revealed shocking numbers of children in sixth grade that cannot read even a simple sentence in their native language. Imagine the opportunity cost in not finding out until sixth grade that the system is failing. Those problems need to be identified and corrected far earlier. These principles are what guide our new education strategy and the rest of our development agenda. Focus. Scale. Impact. Selectivity. Our job as practitioners is to translate these words into practical investment decisions. In Basic Education, we will focus on fewer aspects of the learning cycle. In particular, we want to apply resources to learning in the early primary grades. We want to help learners gain access to school in environments where conflict and fragility have made that impossible. The numbers are staggering. 70 million children worldwide do not have access to education. Hundreds of millions of children may go to school but learn almost nothing when they are there. This will mean that USAID will only invest in programs that have the potential to go to scale – we cannot afford interesting pilots that consume time and money but cannot ultimately affect larger numbers of beneficiaries. This means ensuring that there are appropriate metrics to measure learning and school system effectiveness. Where countries lack adequate testing regimes, we will help develop low-cost ways to understand what their children know. We will encourage them to start in the primary grades. And we will be selective. We will work in countries and communities where we have willing partners. As President Obama put it so memorably, we must be both soft-hearted and hard-headed. This is a time of renewed commitment, collaboration and focus in the education sector. 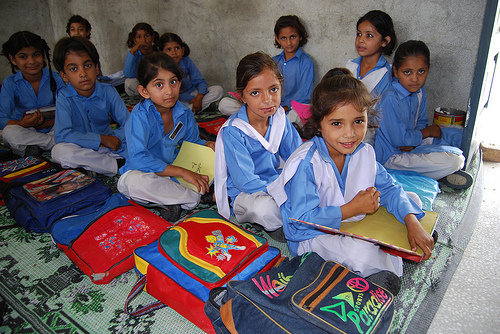 With the World Bank launching an ambitious new strategy, DFID developing new approaches to investing in education and with the Education for All – Fast Track Initiative undergoing significant reform, we have the ability to align our development programs and coordinate assistance in a way never seen before in our sector. Our partner countries are showing openness to reforming systems that for too long have failed children. There is a growing recognition of the impact of education on economic growth and peace and security. Together, focused on impact and guided by data, we can ensure that the coming decade will be a decade of new opportunities for learning for all.